I am a stickler for accuracy. When golfing, it is very important for me to keep track of my shots and report the number accurately. It is also very important to me for those with whom I am golfing to do the same thing. There have been times when I have found myself helping my golf partner count strokes (of course, they are not aware of this; I am just keeping a mental tally). Such was the case the day I golfed with “Aunt Beck”, my new 90-year-old golfing buddy. 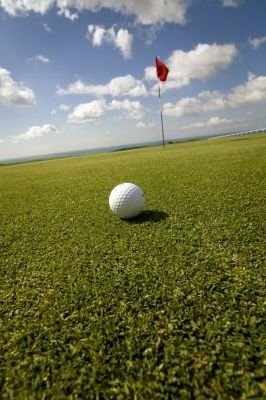 This is the second article in a series about lessons learned from Aunt Beck that began with “Don’t Always Go For the Long Ball”. Aunt Beck may not be as much of a stickler when it comes to keeping an accurate score as I am. I am not suggesting that she cheats; heck, when you are 90 why would you need to cheat at golf? For her, it was more about losing track of her strokes. She was not trying to cheat or be deceptive, she simply forgot. My first inclination was to get it right; then I realized how trivial this seemed. In the broad scope of things, what did the comparison of our scores really matter? How much trivial score-keeping do you have in your life? I define score-keeping as “measuring your results against the results of someone else”. Score-keeping doesn’t mean you are necessarily tracking the result you personally desire. Rather, with score-keeping your focus is on how much better or worse your results are compared to those of someone else – a competitor, a sibling, a spouse, a colleague, a golf partner. How are my kids doing in school? Am I looking at my children from the viewpoint of how well they could do compared to how well they did, or am I looking at how well they did compared to someone else? There are many other areas in which people often “keep scores”: income, size and location of your house, the vehicle(s) you drive, personal body type (height, weight), and all the other insignificant measures of comparison. How do the “scores” of others really matter to you? Why do they really matter? How much pressure and dissatisfaction do these comparisons bring into your life? How might your life change if you measured what you have or need instead of what you want because someone else has it? How might this change the perspective about score-keeping change your life? A couple of years ago I started keeping a Dream Inventory. What a powerful thing, this Dream Inventory! It is a great reflective tool to consider and record what I would like to accomplish in the remaining years of my life. I record everything I want to have, to do, to become…everything. No one else has seen this Dream Inventory; it is strictly mine. It is a great thrill and honor to win a game of golf, or a swim meet, or a 5K run…, but the best goal for any game is to get your best score, not to beat someone else at the game. Competition helps motivate us to pursue and achieve our goals, but when competition becomes the goal, we lose something. We become score-keepers trying to beat the dreams of someone else rather than achieve our own. Aunt Beck, thank you for making me stop and analyze the insignificance of score-keeping. Thank you for helping me to stay focused on my own dreams, and how I need to measure my own progress toward those dreams. This entry was posted in Aunt Beck, Becky Morris, dreams, goals, score-keeping. Bookmark the permalink.